Michael Steele and Brendan Eitz started their company, Elite Soccer, twelve years ago for the purpose of operating youth soccer camps and clinics in the Arlington Heights, Illinois community. While achieving considerable success, Mike and Brendan wanted to continue growing their business, which required restructuring and new ideas. Mike discovered SCORE online and then became a face-to-face client. His SCORE advisor for the past two years has been Earl Schraiberg. Earl worked with Mike to develop marketing techniques, to better understand and improve the financials, to create compensation packages, to implement new programs, and in general to act as a sounding board for ideas and solutions to problems. Since starting to consult with Earl, Elite Soccer has seen its business nearly double in size. Its staff has increased to 30 coaches, three of whom are full-time employees. 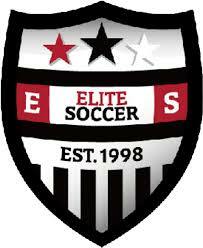 The website can be found at www.elitesoccer.net.